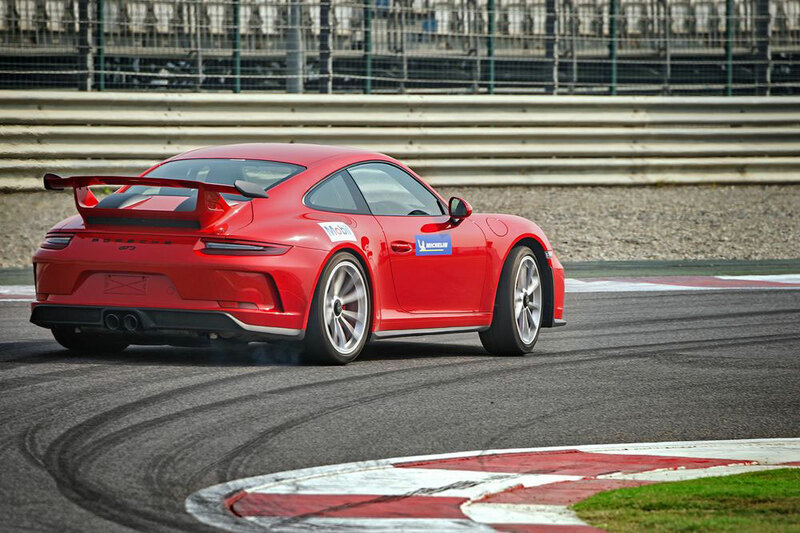 The 911 GT3, representing the epitome of Porsche’s unrivalled motorsport technology into a road-approved sports car, has set a new lap record of 2 minutes 7.6 seconds at the Buddh International Circuit. 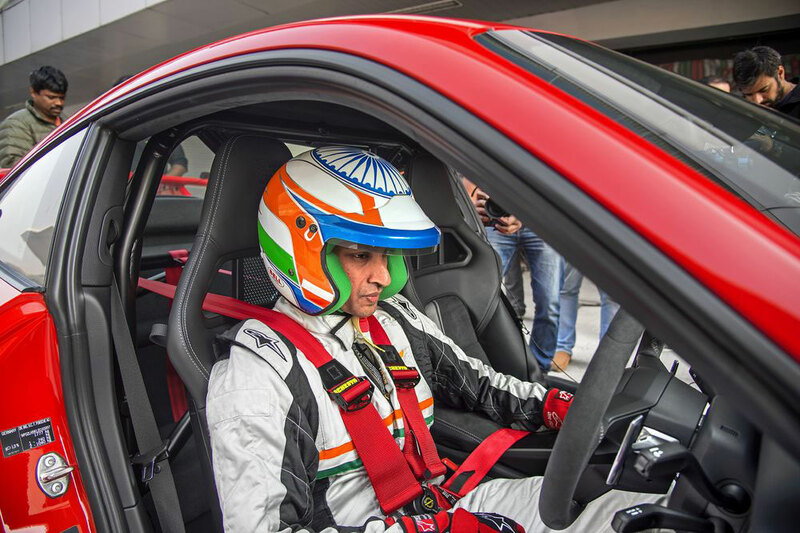 India’s first Formula 1 driver, Narain Karthikeyan, got behind the wheel of the Porsche 911 GT3 to beat the previous track record for road-approved street-legal production cars by 2.2 seconds. 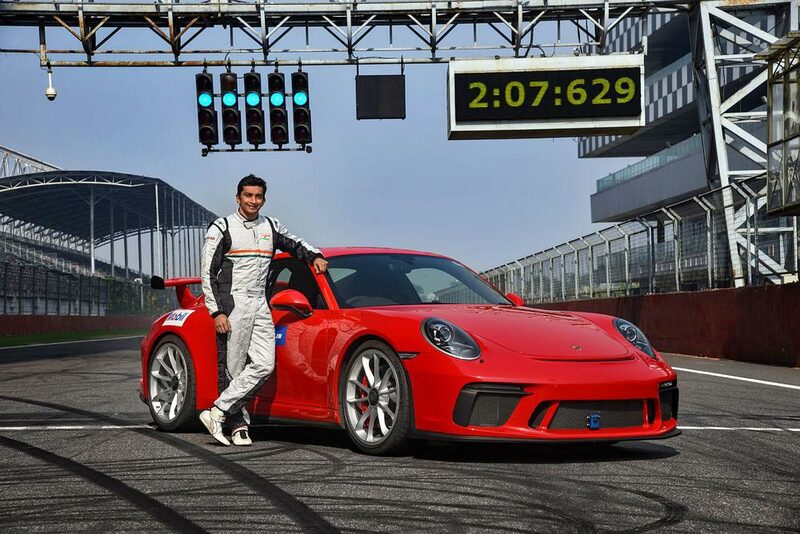 In the early hours of November 20th, Karthikeyan, who made his Formula 1 debut in 2005 with Jordan and drove again in the championship for Hispania Racing in 2011-2012, took on the challenge of setting the benchmark lap time at India’s only FIA-certified circuit. Conditions were optimal across the 5.13 km, 16-turn track, with the 500 hp two-seater achieving a top speed of 262 km/h. The record is officially certified by the Federation of Motor Sports Clubs of India, with the project also supported by Michelin and ExxonMobil. I have been lucky enough to have driven some of the world’s most powerful cars on tracks around the world, and I can truly say that driving the Porsche 911 GT3 today was one of the most exhilarating drives I have had the pleasure of experiencing. To set a record on home soil here at the Buddh International Circuit is really very special to me, and I am honoured to have made history here with Porsche today. Across its 50-year history, the 911 has enjoyed a long and fruitful relationship with the record books and we’re proud to see that tradition continue in India today. The lap record set here by the 911 GT3 is another example of the concentration of Porsche’s motorsport expertise into a high-performance sports car that also masters everyday driving. 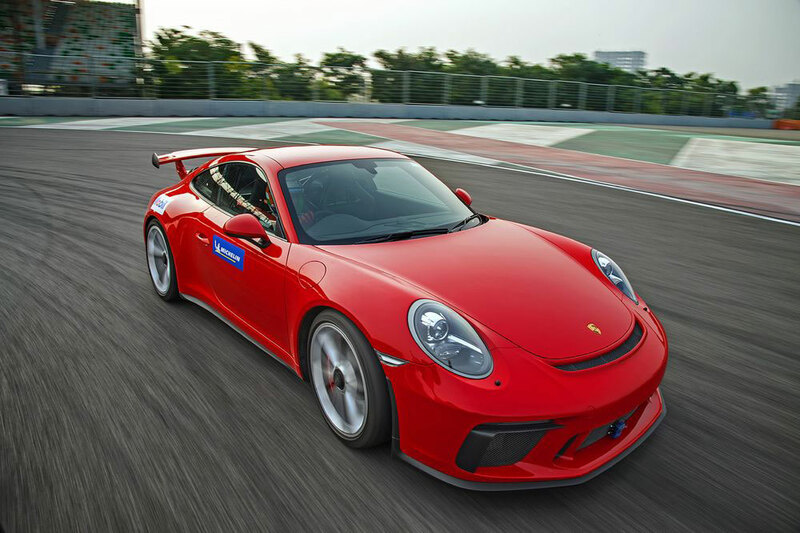 Offering an unfiltered driving experience and bridging the gap between the track and the road, it is a real highlight of the iconic 911 range which continues to win the hearts and minds of our customers in India. At the core of the powerful 911 GT3 is a four-litre flat, six-cylinder engine which delivers 500 hp and is virtually unchanged from the thoroughbred 911 GT3 Cup car. The two-seater, developed on the same test track and manufactured on the same production line as the race cars, accelerates from 0 to 100 km/h in 3.4 seconds and boasts a top speed of 318 km/h. It weighs in at 1,430 kg with a full tank of fuel, comes with a specially tuned seven-speed double-clutch transmission (PDK) as standard and is also available with manual six-gear transmission. Visually, the 911 GT3 leaves little doubt as to its origins on the track. The dominant carbon rear wing emphasises the sportscar’s aerodynamic form and the lightweight front end and front spoiler have been optimised for even greater airflow. The interior of the high-performance sportscar is tailored to the driving experience with a GT sports steering wheel originating from the 918 Spyder. Both the driver and passenger experience the exceptional drive dynamics in Porsche Sports seats Plus.